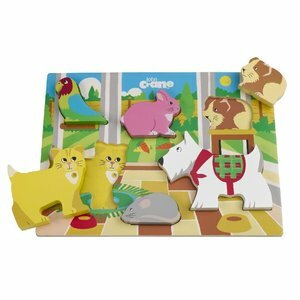 A puzzle with happy brightly colored animals. 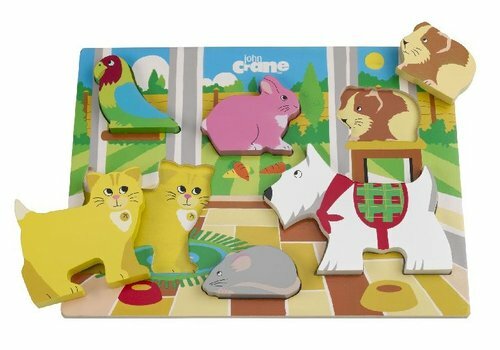 Try to put all the animals in the puzzle. But you can also play with the animals themselves. They can all be on their feet! Joepie, 6 wooden animals!